Seven crew members were rescued. 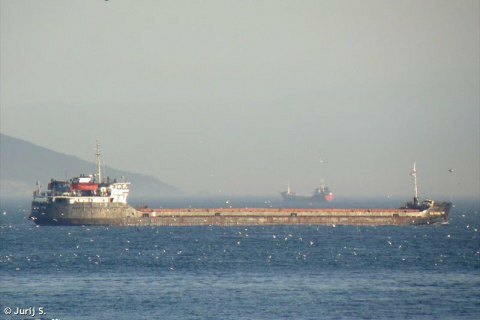 The Volgo-Balt-214 cargo ship with Ukrainian crew members sank in rough waters off Turkey's Black Sea coast on 7 January, killing six crew members including its captain, according to various reports. Seven other crew members were rescued. Turkey's ambassador to Ukraine, Andriy Sybiha, said that four Ukrainians were killed. "A merchant ship sank today off Samsun's coast due to bad weather. Out of 13 crew members, 11 were Ukrainian nationals. The coast guard took prompt measures. Unfortunately, four our compatriots could not be rescued," he tweeted. The vessel, which was carrying coal, was heading to Samsun from a Russian port, the coast guard said. It was located about 80 nautical miles (92 statute miles) from Samsun when it sent a distress signal at 8:10 a.m. (0510 gmt).